Biodiversity and ecosystem functioning underpins the delivery of all ecosystem services and should be accounted for in all decision-making related to the use of natural resources and areas. 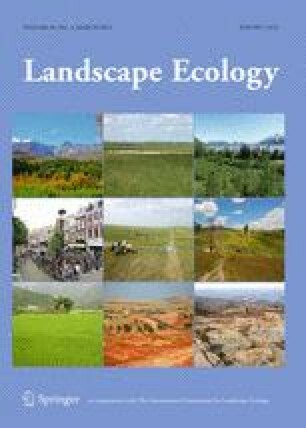 However, biodiversity and ecosystem services are often inadequately accounted for in land use management decisions. We studied a boreal forest ecosystem by linking citizen-science bird data with detailed information on forest characteristics from airborne laser scanning (ALS). In this paper, we describe this method, and evaluate how similar kinds of biological data sets combined with remote sensing can be used for ecosystem assessments at landscape scale. We analysed data for 41 boreal forest bird species and for 14 structural ALS-based forest parameters. The results support the use of the selected method as a basis for quantifying spatially-explicit biodiversity indicators for ecosystem assessments, while suggestions for improvements are also reported. Finally, we evaluate the capacity of those indicators to describe biodiversity-ecosystem service relationships, for example with carbon trade-offs. The results showed clear distinctions between the different species as measured, for example, by above-ground forest biomass at the observation sites. We also assess how the available data sources can be developed to be compatible with the concept of essential biodiversity variables (EBV), which has been put forward as a solution to cover the most important aspects of biodiversity and ecosystem functioning. We suggest that EBVs should be integrated into environmental monitoring programmes in the future, and citizen science and remote sensing methods need to be an important part of them. The online version of this article (doi: 10.1007/s10980-014-0137-5) contains supplementary material, which is available to authorized users. We acknowledge the following projects, funders, and individuals, who supported this paper: the CLIMES project (Academy of Finland), the Maj and Tor Nessling foundation, the Finnish Cultural Foundation’s North Karelia Regional Fund, local BirdLife partners Tavastia Proper Ornithological Society/J. Kairamo and Pirkanmaa Ornithological Society/J. Helin, O. Lehtonen T. Tahvanainen, and the two anonymous reviewers of the manuscript.